The holidays are just around the corner and you may be planning a trip out of town to visit family and friends. No matter your holiday plans, you want to feel confident that your home is safe. 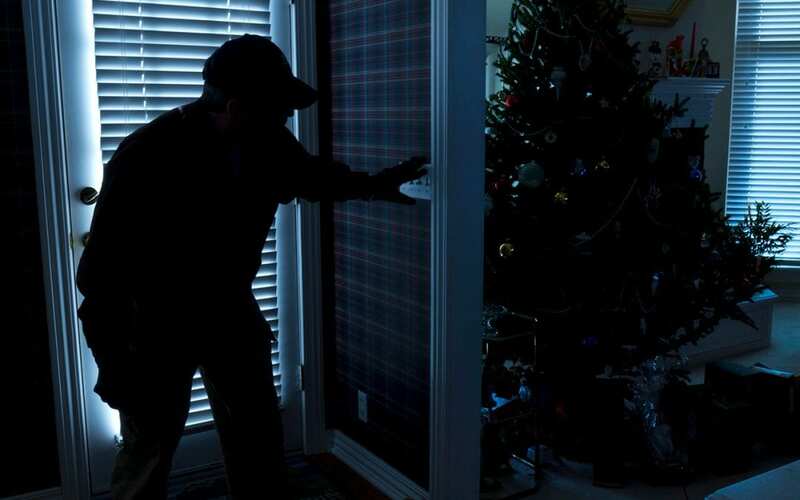 Fortunately, there are some easy steps you can take to keep your home safe while you’re away for the holidays. It may seem obvious, but it’s an easy thing to forget. In fact, nearly 30 percent of thieves break into homes through an unlocked point of entry. Before you leave your house, make sure that all of your windows and doors are shut and locked. This includes the windows in your garage, upstairs, and in the back of the house. Cover the windows in your garage. This way, nobody can peek in and see if your vehicle is in there or not. It also keeps people from seeing other valuable items in your garage. If you have a security system, remember to set it before you leave. If you’re leaving for a long period of time, keep your home safe while you’re away by telling your security company what days you’ll be gone. If you don’t have a security system and don’t have the budget to invest in one right now, order some signs and stickers from a security company to deter burglars. Keep mail and newspapers from piling up by either stopping delivery or asking a friend or neighbor to collect them for you. Leave your curtains or blinds in the same position they’re usually in. To help keep your home safe while you’re away, set your television and lights on timers. This will make it look like you’re at home. Invite your neighbors to use your empty driveway for their guests to park their cars while you’re away over the holidays. Keep the shrubbery around your doors and windows trimmed. You don’t want to give a thief an opportunity to hide while trying to break in. Motion sensor lights will also scare away any burglar trying to hide in the shadows. Tell trusted neighbors that you’ll be away from home and ask them to keep an eye on your house for you. If you have a neighborhood watch, let them know that you’ll be gone so they can also look out for any suspicious activity. To keep your home safe while you’re away, wait until you get home before sharing your holiday photos. If you simply can’t resist, make sure your privacy settings are set to, “friends only, or, “private,” and turn off geotagging on your phone. Use these tips to keep your home safe while you’re away. When you have peace of mind about your home’s security, you’ll be able to relax and enjoy your holidays. Happy Holidays from Lakeland Home Inspection Service!